Mansfield was the first product of the golden cross between Bennington and Artemesia. Mansfield stood at the Government farm and sired 151 progeny. His sons Sonfield and Gay Mac went to the West Coast and influenced many ranches there. 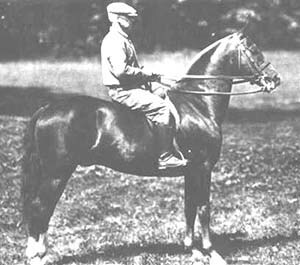 Son Tipperary was the sire of Gertie G, the dam of Miller's Adel and hence the granddam of Waseeka's In Command. Captor, another well known son, was the foundation of the Devan Stud. His dam, Narissa, was by the famed broodmare sire Troubadour of Willowmoor. Captor sired Fleetwing, a stallion whose influence can be traced to the likes of Serenity Farm and the Vigilmarch Stud at Kohler Farms. 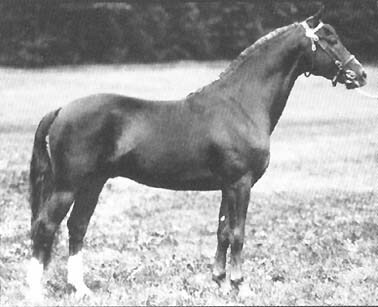 Goldfield was also a Mansfield son, and he sired both Magellan and Mentor.